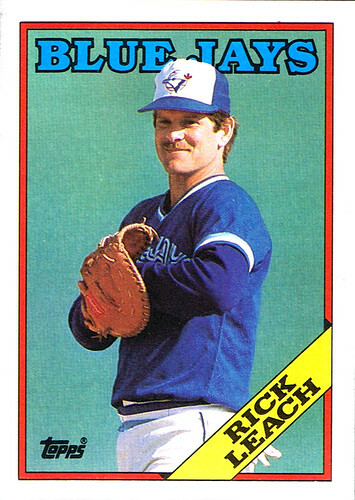 I remember Rick Leach as the backup outfielder who disappeared. I can't remember the specifics, I just remember it was a big deal at the time. They couldn't find Rick Leach for a few days... does anyone out there remember this? I did Google it, searching for the details, but most of the Rick Leach info on the web is about his career as a quarterback at the University of Michigan. He had a massive NCAA football career before choosing baseball. And to think I just know him as the utility player who disappeared. Yeah, that does sound vaguely familiar. The disappearance that is. I like to remember him as the guy who'd take a lead off first base and then fall down intentionally to draw a throw. He was missing for 16 hours. It was a personal issue involving his wife that he was too embarrassed to talk about. He missed one game during his disappearance.